← Nicky Wells visits Kim the Bookworm for an author’s interview… stop by and find out all about my life in 213 words! Nicky Wells reveals how “Sophie’s Turn” was born with a quite different title… in a brand-new guest blog on Chick Lit Central (with give-away)! Hello chick lit lovers! Today, it is my great pleasure to post a guest-blog on the fabulous chick lit blog, Chick Lit Central. The wonderful people behind Chick Lit Central–especially the two Melissas–were among the very first to agree, way back in July, to help this here indie author promote her book, in the first instance through this guest blog (with give-away!) and also through a review later in the year. And, in fact, this is the very first guest blog I ever wrote (even though I’ve published a couple in the meantime)! So a big, fat, huuuuge, Thank You to Chick Lit Central for their encouragement and unfailing support. Guys, you really gave me courage when I first dipped my toes into the indie waters! Right, enough of the prelims… What is this post all about then? Titled “Turning the Title,” this guest blog considers how Sophie’s Turn didn’t actually see the light of day being called Sophie’s Turn at all! So what happened? 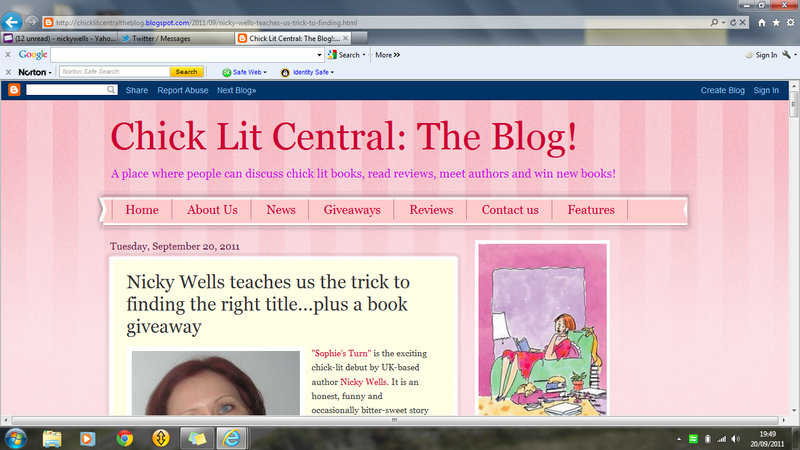 Find out all about the original title and its evolution here: http://chicklitcentraltheblog.blogspot.com/2011/09/nicky-wells-teaches-us-trick-to-finding.html! 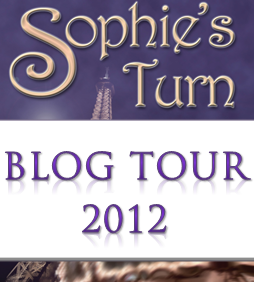 In addition, there is a give-away associated with my post on Chick Lit Central and there are TWO e-copies of Sophie’s Turn up for grabs. The competition is live now and ends on 25 September. Visit Chick Lit Central to find out how to enter. I see there is quite a bit of interest already: Rock on, folks! Good luck to all entrants. 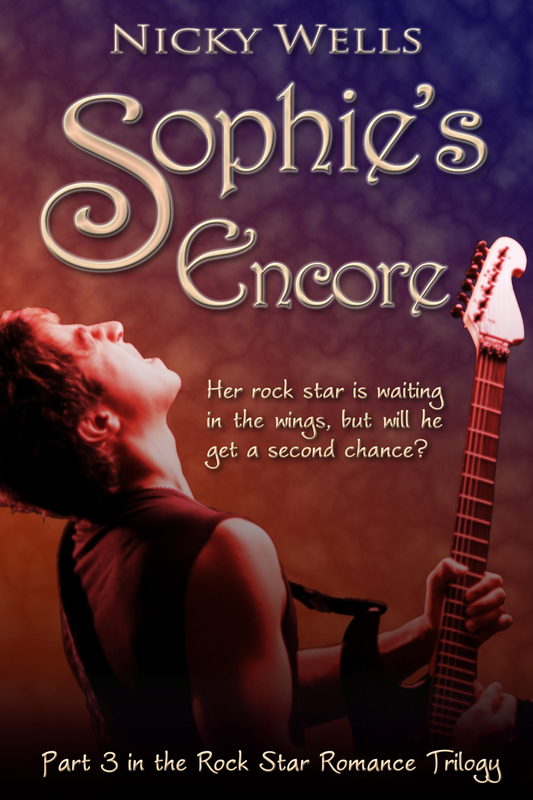 This entry was posted in Nicky's Guest Blogs Elsewhere and tagged chick lit, give-away, Guest Blog, Nicky Wells, rock star, Romance, Virtual Book Tour. Bookmark the permalink.